Brass moon shape with silver woven wires make these wire moon earrings. 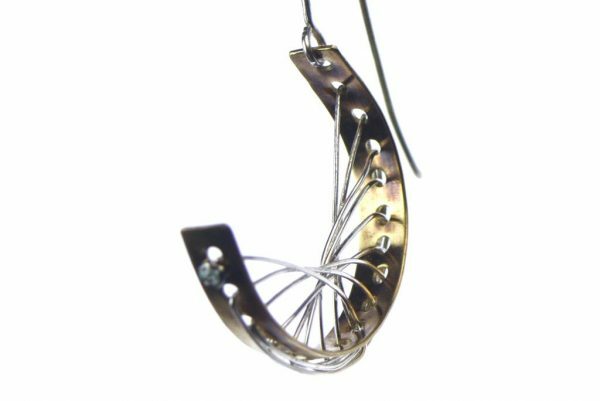 With sterling silver ear wires. 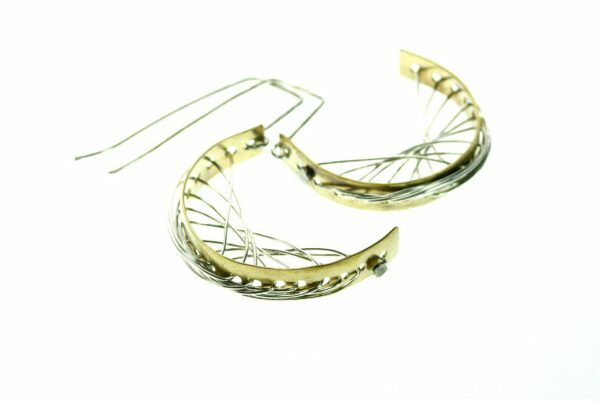 These earrings are 2.2 “(5.5 cm) long from the tip of the ear wire.